My son aged 15 has become very aggressive in his behaviour with his little sister and with me. He has lost interest in his studies (he used to be always among the top three in his class) and he always thinks negative and is self-absorbed. His kua number is 1. Our whole house is North facing and so is his bedroom. Please help!! Thank you. It sounds like something may have happened in his life to trigger his change in attitude. Has he been through a trauma recently? Does he feel forsaken or ignored? If you are finding it difficult to get close enough to him for him to open up to you and to share whatever is bothering him, display a 9-level pagoda in the West sector of his bedroom, or place one in the West sector of the living room. The 9-level pagoda helps to control children who are disobedient or wilful, and will help him soften in his attitude towards his parents. The pagoda will also help him focus on his studies and improve his concentration in his schoolwork. Rebelliousness is something a lot of teenagers go through, so don’t hold it against him. Look on it as part of the growing up process. Perhaps he is feeling insecure because he feels he is not getting the same attention or treatment that his sister is getting, so try your best to make him feel as loved and wanted. If his Kua number is 1, his self-element is water, so metal energy is beneficial for him. Dressing in white will empower him and improve his self-image, so try this too. Make sure he is sleeping with his head pointed towards his Fu Wei, which is North, and let him face North when he is studying at his desk also. Another good energizer to use to improve his grades at school is a Dragon Carp or crystal globe to be placed in the Northeast of his study room. QI recently found out that my boyfriend attempted to cheat on me behind my back with his ex. I confronted him about it and he told me he was just doing it for fun and that it won’t happen again. 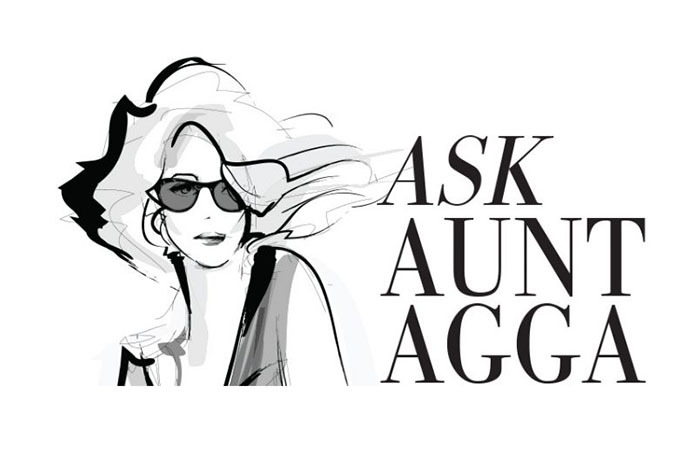 What should I do to make him faithful towards me and to be more committed to the relationship? Are you sure he is the right guy for you? A guy who can cheat on you for fun can break your heart. The deeper your relationship gets with this boy, the more painful it will be if he cheats on you again. If I were you, I’d drop him and look for greener pastures elsewhere. The situation would be different if the two of you were older, married and had kids together, then it would not be so simple. But in your position, dump him and start dating. As they say in FRIENDS, grab a spoon! But while we’re on the subject of fidelity, the symbols you are looking for are the double happiness symbol, which will not only help attract the right kind of man into your life, wearing it or carrying it with you will help ensure your union lasts. While displaying a painting of peonies in your bedroom will jazz up the passion in your relationship, giving him no reason to stray. QI’m facing many problems in terms of money, health and happiness. I can’t seem to save a single cent. Each time I have some savings, it gets used for medication for my family, who keep falling sick. Why does it happen like this? It sounds like you are being affected by an illness star in a main area of your house, especially if different family members of yours keep falling sick. The illness star this year (2005) is in the East sector. Is your front door facing East, or located in the East sector of your house? Those family members whose bedrooms are situated in the East sector will also be more prone to sickness this year. To suppress the annual illness star, hang an all metal 6-rod windchime in the East part of your house, and let each of your family members sleep with a metal Wu Lou also known as a health gourd beside their bed. If it is not the annual illness star affecting you, the problem could lie in the natal chart of your home. For this, you need to study the flying stars of your house, and the best way is to read Lillian Too’s Flying Star for Period 8 book which will give you the natal chart of your house, identifying for you the sectors which triggers health problems, together with solutions to quash the power of these malevolent stars. As for your money problems, instead of looking at ways you can save more money, look for ways to increase your income. Look for new sources of income. 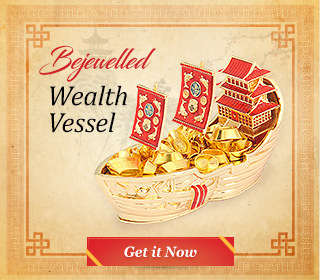 Display a harbour of wealth ships sailing into your home from your Sheng Chi direction. Place one ship for every source of income you hope to get for the family. And when opportunities open up to make more money, take them. This may mean working a little harder, but once you get used to the bigger workload, you will be fine. Good luck! QI have a bubbling water feature inside my home. Where should I put it and do I have to keep it bubbling 24 hours? My main door is in the SE. ASince your main door is in the SE, how about placing your bubbling water feature in the SE sector? Yang water in the SE activates for money luck and is also extremely auspicious for the eldest daughter of the family. Water in the front of the house also bodes well for any home. Just make sure that the water feature is not placed on the right hand side of your front door (inside looking out) as this can cause problems between husband and wife. QI want to ask if we should keep elephants (made of wood, leather or ceramic) with their trunks lifted upwards in our homes. I read somewhere that these should not be kept in homes. AElephants are sacred animals and also very auspicious symbols of good fortune. With their trunks up, they are said to protect the home, and are best placed flanking the front door into your home. With trunks down, they are said to bring great descendants luck to the family and these are usually recommended placed on either side of the door leading to the master bedroom to help childless couples conceive. QI found a turtle in my driveway and I heard that it brings luck. Where should I put him in the house to bring in luck? AThat’s an excellent omen! Turtles bring stability and longevity into your life, and if one wanders into your home, it means good things will be coming to you. Keep him in the North part of your home.